Set offense against an overplaying man-to-man defense. 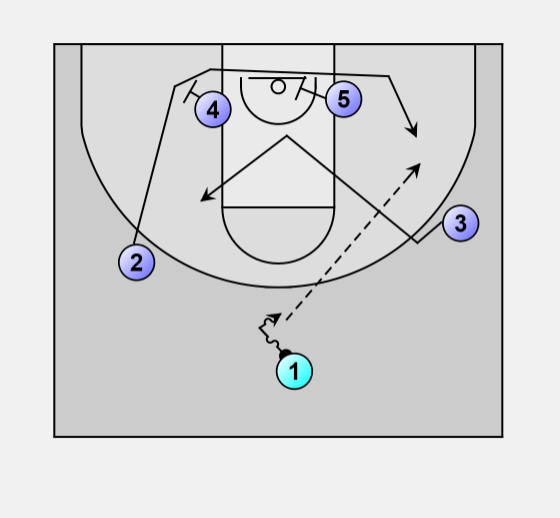 The rotation of this play easily resets the offense if nothing is open. #1 dribbles to the center of the court. #3 "V-cuts" through the paint to assume the opposite guard position. 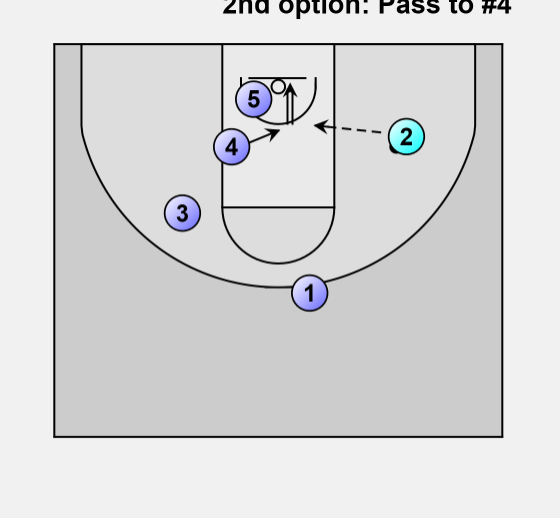 #2 goes to the baseline around a pick set by #4, continues through the lane past a pick set by #5, and pops out to the opposite guard position. #1 passes to #2 on the right once he clears the defenders. 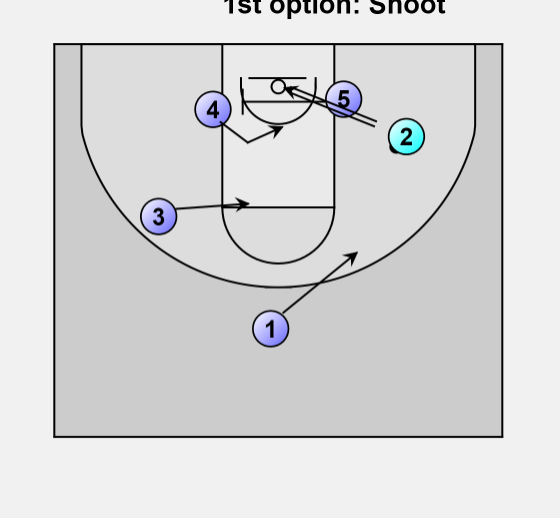 #2 has the green light to shoot or take it to the hoop if a shot is open. He can also hit #4 in the lane coming off of #5's pick. #3 is also flashing to the foul line and #1 is rotating to the right. 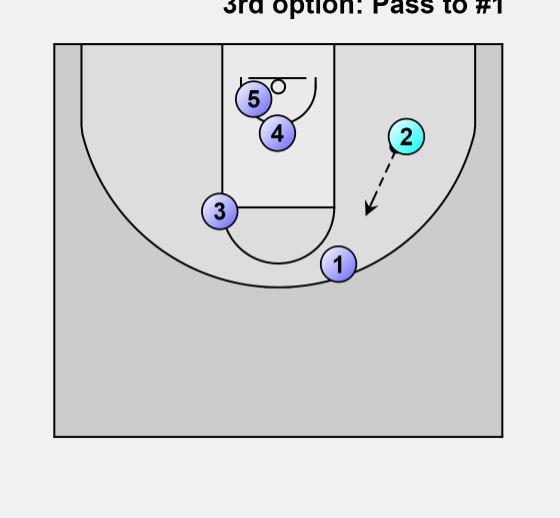 Using #5, #4 gets free and can get the pass from #2. In this case, the ball comes back out to #1. #4 assumes the low post on the right, #5 the low post on the left. #2 takes wing on right. #3 takes wing on left. The offense is now RESET (#2 & #3 on opposite sides).